Buddhism is a prevalent part of the Thai society, and even the royal family of Thailand is affiliated with the Buddhist faith. Approximately 95% of the Thai population is Buddhist. Because of the pervasiveness of Buddhism in Thailand, the country is also known as “The Land of Yellow Robes” after the traditional garb of Buddhist monks. The practice of Buddhism has been around for thousands of years, but it is uncertain as to when Buddhism appeared in Thailand. 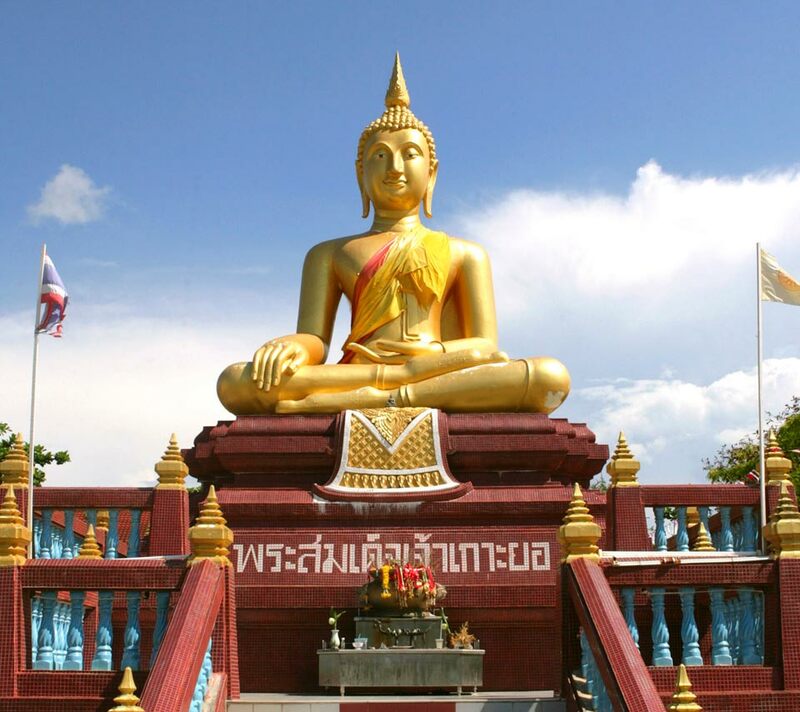 There is much controversy to when Buddhism arrived to Thailand, formerly known as Siam. Many scholars believe that the birth of Thai Buddhism began with the Indian emperor, Asoka, who sent Buddhist missionaries to encourage Buddhist worship. Although this theory is widely believed, historical evidence shows that Buddhist foundations were brought with a group of settlers known as the Mon-Khmer. 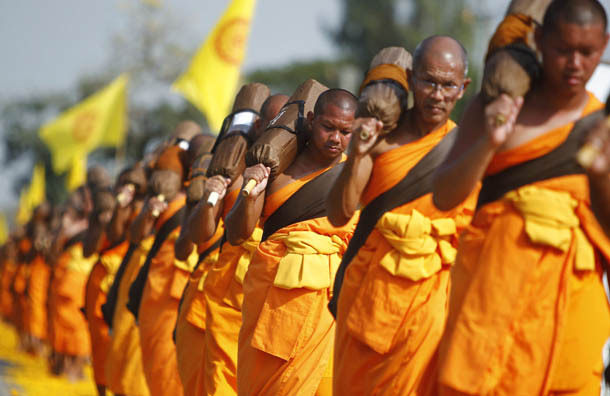 Thailand’s sect of Buddhism is most commonly associated with Theravada. Theravada, also known as Southern Buddhism, is more of a personal philosophy rather than an organized religion. A large part of this form of Buddhism is the tradition of “wats” and monks. The term wat translates to both monastery and temple. In Thailand, there are over 20,000 of these wats. There is typically at least one wat per village or town, which showcases the importance of the Buddhist religion in Thailand. Wats are said to be the most important foundation of Thai rural villages. A fundamental teaching of the Buddhism is “kusala kamma” which translates to “do good”. This is the basis of how all Buddhists are expected to live their day-to-day life. Along with this belief, if a Buddhist performs good deeds, the same is expected to return to them and vice versa. This phenomenon is known as “karma”. Yet another essential belief in Thai Buddhism is that of tolerance of all people regardless of religion, social class, gender and affiliations. Practicing Buddhists worship twice daily, once in the morning and once at night. A large part of this worship is done using meditation. Meditation is used as a means of reducing one’s suffering as well as for self-reflection. Some of the main symbols in Thai Buddhism include images of Buddha, candles, freeing fish and birds, gold leaf, lotus flowers, and lustral water. Buddhism is pervasive in all aspects of Thai culture and influences the way that the Thai live their lives, everyday. Thai Buddhism is more of a way of life rather than a means of religion because it is so prevalent.